Hannah @ Pt England School: Richard Whitehead! 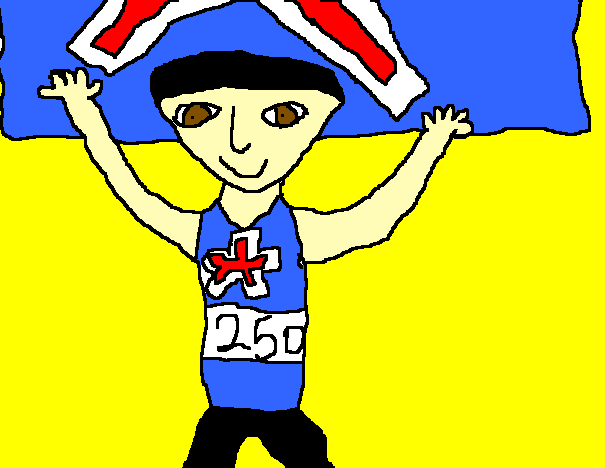 Richard White head is at the end of the running track and he is holding the Union Jack flag . He looks really proud of himself because he is smiling and jumping on the track. It looks like he is looking at the crowd and his supporters. YAY the crowd screams loudly.